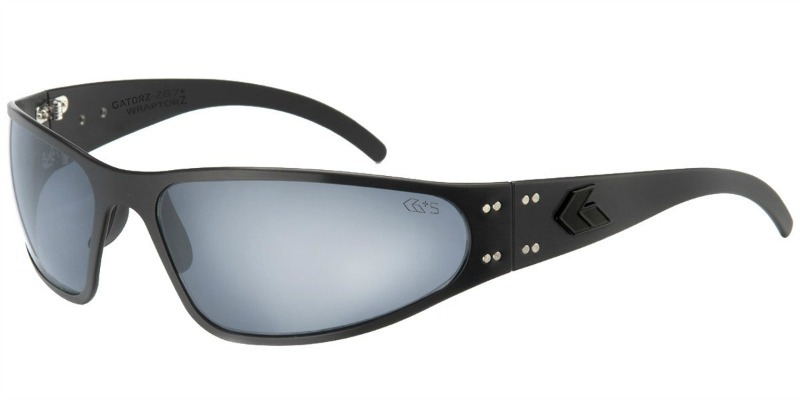 The WRAPTOR Z - ANSI Z87+ Sunglasses provide the ultimate in style as well as protection. The Wraptor Z meets or exceeds all ANSI Z87.1 - 2015 requirements. Perfect for those who prefer a medium to large frame, their unparalleled comfort and optimized build not only has the ability to protect the wearer’s eyes, but also serves to turn a couple of heads at the same time. Expect maximum lens coverage and a typical Gatorz wrap look. They are also extremely popular with the US Navy SEALs, SWAT teams and elite military special forces units. The Wraptor Z is the enhanced ANSI Z87+ rated version of our Wraptor style blackout sunglasses. The frame features our matte black logo with no reflective colors and surfaces on the frame.